Everywhere other than the Bay Area, fall signals lightweight jackets, waning sunlight, and foliage going into seasonal slumber. Here in our country of California, fall is “Summer: The Sequel,” an action-packed thriller filled with events in your Golden Gate National Parks. The season finale of our popular park socials event series is about to pop off! NightHowl, the super fun after-party to our successful Trails Forever dinner, will surely be the talk of the parks. This year, the festivities will be taking place on Crissy Field, overlooking the Bay and the Golden Gate Bridge. #NightHowl is the perfect night out for a birthday celebration, date night, bachelor(ette) or Insta-worthy event with your loved ones. And it’s all for a good cause! Purchase your tickets and see pics/videos from last year at parksconservancy.org/nighthowl. 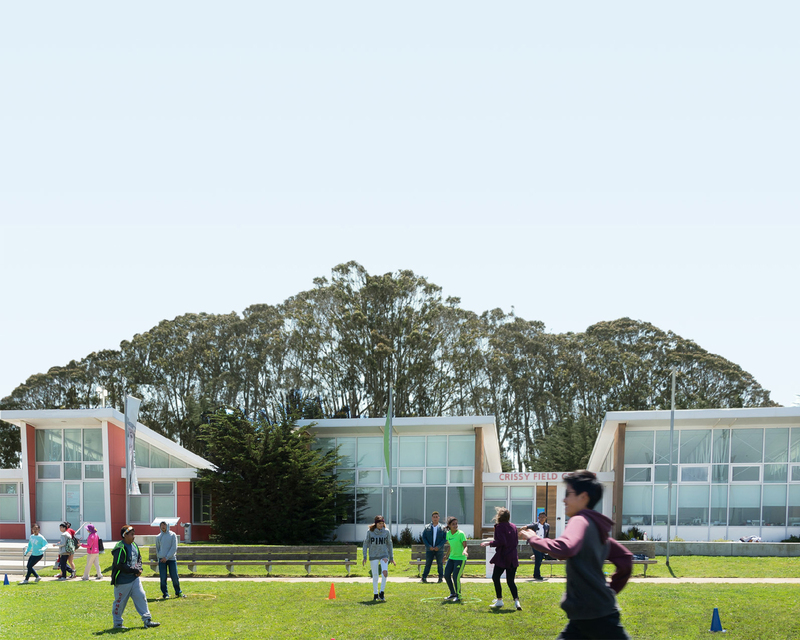 Crissy Field is the center of many stories—from land conservation and military history to restoration and community to art and recreation. On Saturday, October 20, join us for a celebration of the former airfield unlike anything you’ve ever seen before! Enjoy a free, family-friendly, celebratory event with music, food, and much more. Attendees will also have an opportunity to learn more about the next chapter of the national park site, contribute your own creative ideas, and just have some fun. Discover all the ways you can celebrate by visiting parksconservancy.org/crissyfieldday. Around this time of year, the skies above the Marin Headlands begin to see a migrating cast of characters. Dotting the skies are thousands of birds of prey as they travel on their Pacific migratory flyway. In an effort to gather valuable data, Golden Gate Raptor Observatory (GGRO) volunteers and staff identify, count, band, and track the birds. You too can join the migration game at Hawk Talks every Saturday and Sunday from noon to 1:30 p.m. (heavy fog or rain cancels) during September and October, except Fleet Week weekend (October 6 and 7). You’ll learn tips for spotting raptors, learn about the GGRO’s volunteer-powered conservation programs, and possibly witness a recently banded hawk take to the sky. The fragile California coastline needs your help! Be a part of the state’s largest annual volunteer event by joining us for California Coastal Cleanup Day. On Saturday, September 15, over 60,000 volunteers across the state will remove trash and recyclables from beaches, lands, and waterways, adding up to hundreds of thousands of pounds! Help preserve and protect our coasts by supporting at one of the many sites in the Golden Gate National Parks. Find and sign up for an opportunity now. Now, more than ever, we must show some love to America’s public lands. Give back to these places that give us so much—recreation, relaxation, opportunities for reflection, and more. Check out the list of volunteer activities on National Public Lands Day (September 30) from the Parks Conservancy, National Park Service, and Presidio Trust—and bring your family and friends. Register for a volunteer opportunity here. The 1,400-acre former military base in the northwest corner of San Francisco is courting Bay Area locals and visitors with a buffet of events this fall, ranging from weekly picnics to a USO-style dance on Veterans Day. Presidio Picnic | Every Sunday on the Main Post Until October 21 | 11 a.m. - 4 p.m.
Free and open to all, the Presidio Officers' Club and the Presidio Visitor Center offer exhibits tracing the Presidio's past and present, free live music and talks, and weekend crafts for kids. See a list of upcoming events throughout this national park site.